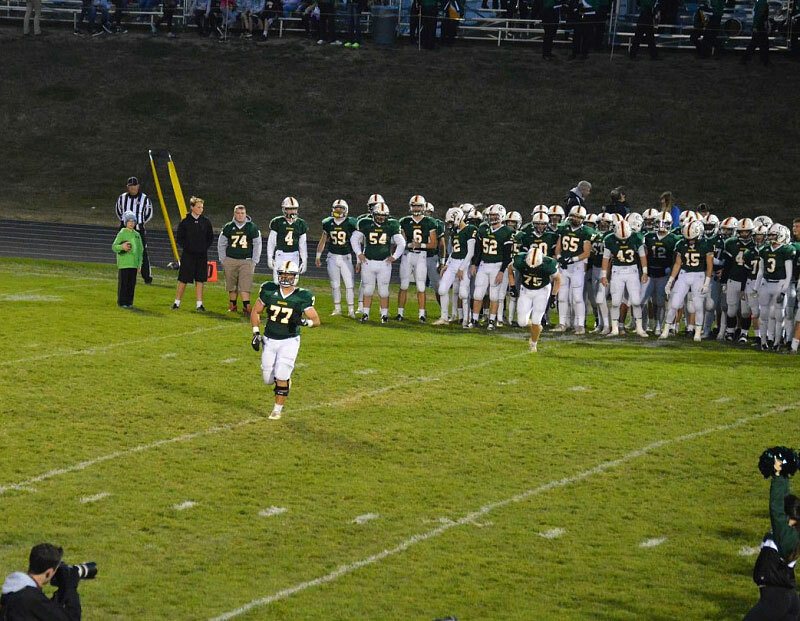 My son walked off his high school’s home football field for the last time on Friday. Like 15 of the 16 playoff teams, his team ended their season in defeat. The fact that they were among the final four was little consolation that night, as the seniors shed their Gretna green for the last time. Years ago, I’d bring him to the high school games at that stadium. He’d sit in the middle school section while my wife, daughter and I sat on the other side of the press box. Like clockwork, he’d show up at our seats at halftime, looking for concession stand money. After the game, he and I would talk about what we saw and about how neat it was going to be to play on that field with his friends in a few years. Those years went quickly. He started in the first varsity game of his sophomore year and every game since. During the final games of his sophomore and junior seasons, I looked over at the senior parents and tried to imagine what they were feeling. In both cases, we suffered losses in the state quarter-final playoff games. There was no next game or even next year for them. It was over. Selfishly, I was thankful that there was another year for us. For the past two weeks, I watched seniors on our opponents’ teams play their last down of high school football. For most, it will be the last down ever as a football player. For them, it’s over. If we had lost either game, it would have been over for us too. When it’s over, it’s hard not to look back with regret, but regret doesn’t get us anywhere. When it’s over, it’s hard not to wish that it wasn’t over, but it’s pointless to wish away an inevitable ending. The end is going to come in almost everything. These are realities that I will face several times in the next few months, as my oldest child moves through his senior year of high school, and then again in two years, when my youngest does the same. It’s not about me. I’m a nostalgic guy, and because of that, my perspective is often skewed. Nostalgic people tend to get distracted by their own thoughts, and I’m no different. While my nostalgia is irrepressible, it’s also tied to my child’s experience. As much as possible, I have to let my child’s emotions guide my approach, and remind myself that I’m just support. Gratitude. A tremendously positive experience is the entire reason that there is sadness when it’s over. If we didn’t enjoy the ride so much, it wouldn’t hurt so much when it grinds to a stop. Instead of the sadness of an ending, I try to remember the positives and be thankful. Pictures, memories and spending time with other parents help with this. Don’t let the screeching of the brakes ruin the thrill of riding a rollercoaster. The end is part of a transition process. The end is also the start of something new. College doesn’t start until high school ends. A career doesn’t start until college ends. You can’t progress to the next stage until you draw the curtain on the previous stage. I was mostly successful with these strategies on Friday night, but it wasn’t easy. I had to consciously steer my thoughts away from sadness and regret, and break from my typical post-game routine. Normally, I rush to the parking lot as soon as the game ends. Not this time. As the final seconds ticked off the clock and the seniors consoled each other under the bright lights, I stood up from the seat I had occupied for three seasons and took a few minutes to burn a picture in my memory. I should have done it earlier, but I was finally able to fully appreciate the moment, right before it was over.